What does "Supermarionation" have to do with the 1964 Good Friday Earthquake in Alaska? Right after the quake, one of the first questions all of us survivors asked each other was "where were you when the quake struck?" The answers to that question are as varied as there are stars in the sky, but one answer seems to come up more often than most. "I was watching "Fireball XL5" on TV. Fireball XL5 was filmed in "Supermarionation" using marionette puppets. That is, puppets controlled by strings. This super fun children's TV show ran on KENI-TV (KTUU) channel 2 from 1963 to September 1965. Fireball XL5 was the name of the spaceship commanded by Colonel Steve Zodiac of the World Space Patrol. The show was produced in 1962 to 1963 by the husband and wife team of Gerry and Sylvia Anderson. The title and name of the spacecraft came about because Gerry Anderson thought the motor oil product, "Castrol XL" had an interesting sound. 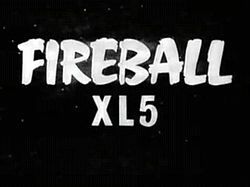 Fireball XL5 was a unique show in many ways. First, because it used marionettes as the characters, and it was a science fiction show for kids. So it's no surprise that because Anchorage TV audiences only had two stations in 1964, that lots of TV's were tuned to Fireball XL5 when the earth began to shake. Take a look at the short video above and find out why so many people were watching this fun show. Or, if you were watching the show when the earthquake hit, I suspect that the short Fireball XL5 clip above brought back a flood of memories. Mary Soules and my dad were at the Spenard Piggly Wiggly when the 64 earthquake started. As my dad drove away, the rock retainer wall at the front of the building fell where his car had been parked. Dad was a photographer for the Daily News. He came home, picked up the family and we drove around taking pictures. I was 12 years old and watching TV in my room in Bootleggers Cove in Anchorage. If you recall, the show started 5 minutes late that day. (The earthquake) EQ was at 5:36, so about the time the rocket was blasting off, my bed started to shake... my first thought was "Wow, that's cool... how are they doing that?" (It) went downhill fast from there. Forty years later I went to an (earthquake)EQ survivors banquet at the 4th Avenue Theater downtown. The guy who sponsored the event, the owner of the theater I think but forgot his name, had found the so called "lost episode," the one that was interrupted by the quake. So several hundred folks who were there finally got to see the one we missed. One of my better memories of the Good Friday Quake to be sure. I was watching the intro to Fireball XL5 when the quake began. The rocket ship went down the ramp and as it shot up into space our TV came crashing down off a shelf above the kitchen table. It landed face down on the table and bounced onto the floor. In the aftermath cleanup, my Dad plugged in the Admiral TV and it came on. Amazing! I was 8 years old and during the quake I was mostly worried about the cool cake my Mom had made for my Cub Scout meeting that night.. The cake survived but was eaten when all the neighbors gathered together for dinner. That is what I remember the most, watching Fireball XL5 on TV when things started to rock 'n roll. Our beagle dog was panic stricken running 90 miles an hour around the block, with all of the family and some neighbors calling "Here Tippy...here Tippy"
The Valiant car in the driveway was rolling back and forth, my mom was desperately trying to hold the cupboard doors shut inside, as my older brother, who was 8 at the time, was walking back from the local barbershop. We stood outside our front door wondering when this quake thing was ever going to stop. Tippy finally came back home, maybe losing a pound or two. We finally went back into our home with no lights, no FirebIll XL5, and stuff strewn all over the floor. It was a day when the lights went out in Anchorage. I was only 3 1/2 years old at the time. My mom and I had just got home and my brothers Jack and Brian and my sister were watching TV. Mom and I were standing there watching. I don't remember the program but my sister says all of Anchorage was watching Fireball XL5. Before the earthquake struck, the TV went off and my brother Jack got up and fiddled with the on/off switch and then sat down again. Then the rumbling and shaking began. I've experienced many earthquakes since then and none of them made much noise. Even though I was so young, the rumbling and shaking went on for so long. It really made a strong and lasting impression on me. I was only 7 years old at the time. The starting credits on Fireball XL5 had just finished. Then the power went out, the T.V. went blank, and we had just enough time to say "Awwww", when the T.V. started to walk across the room as it was on wheels. Then this quake lasted for 4 minutes as dishes, glasses, food and anything that was in the cupboards was flying out onto the floor. I looked out the front window and the pavement had waves like water. Parked cars were crashing into each other. Power and telephone poles were swaying like they were made of rubber. Power was out for about 10 days. We had to get water from the National Guard at the school parking lot. They had hot food too. We had to evacuate our house that night because they were expecting a tsunami. We called it a tidal wave back then. It was as if the World had come apart! For those of us that experienced it, it did come apart. Don't think our children watched Fireball XL5. They were younger. We had a different experience than many of you who have commented. We were grocery shopping at Piggly Wiggly in Spenard. Our children were with a neighbor. Anxious about them because we were separated from them, we left the groceries in the cart and we left the store. We camped with the neighbors for several days. Latter when we returned to Piggly Wiggly, the cart was still there with all of our items. The ice cream had melted and run all over everything. Flood of memories is right. Over the years I have heard stories about folk's who were watching Fireball XL5 on television. We know that over the years, as survivors, we are still traumatized. Through it all we have each other to tell and share our stories with.